It is always recommended to create a new custom JReviews theme for your customizations so that they are not lost during updates. Once you identify the files you need to change, create a new custom theme to override those files with your customized versions. This option is very useful during development when something doesn't work because of php or database errors. 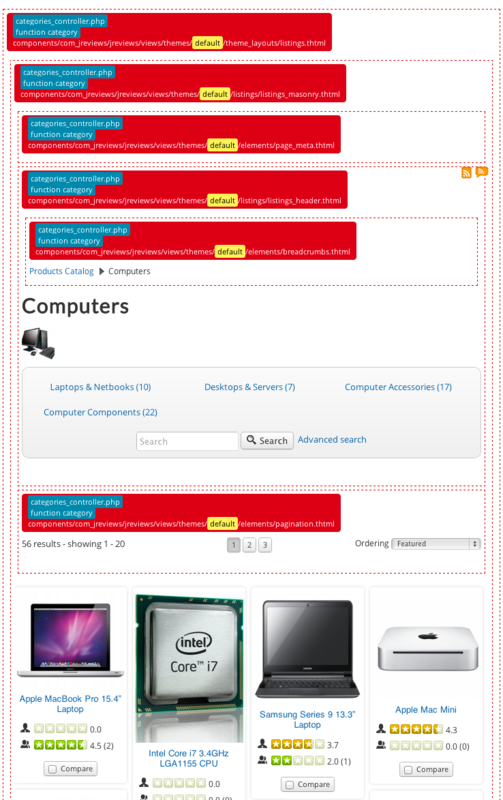 Enabling it will display all php errors and database queries below all content on pages. This option is very useful if you don't know which file or function outputs specific elements of JReviews pages. 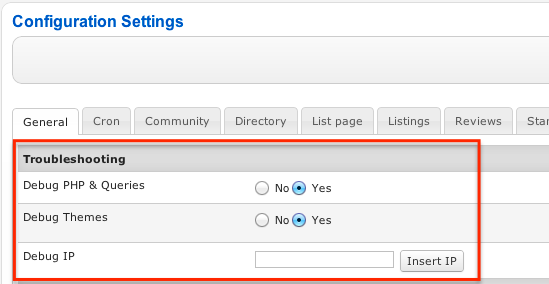 Enter your IP address to the Debug IP input when you enable Debug options so that other visitors of your site won't see debug info.